Create two adorable projects with this pattern! 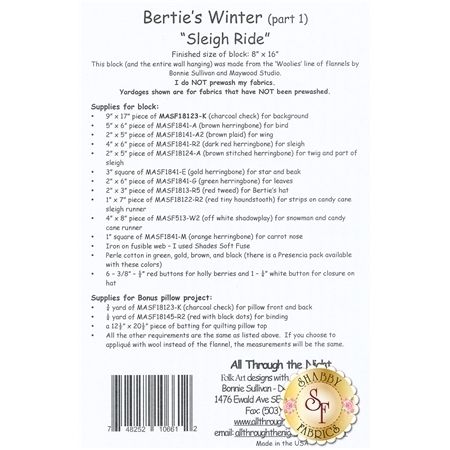 Our favorite bird, Bertie, pulls a snowman in a sleigh - complete with candy cane runners! Make either the 8" x 16" block, or a 12" x 19" pillow. 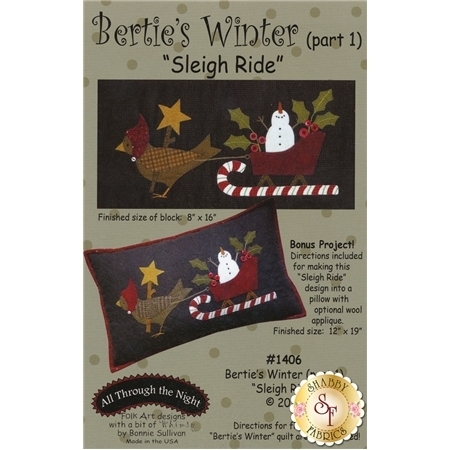 This is a wool or flannel applique project. Add the Richard & Son 12-pack Embroidery/Crewel needle - Size 4 for your embroidery and stitching!